You heard about it at the “Futurama” panel. Now collect Philip J. Fry’s Delivery-Boy Man. 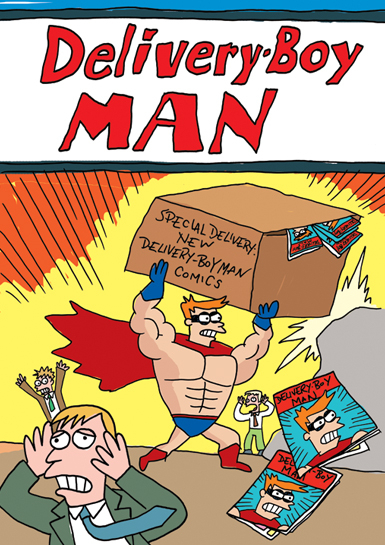 Learn the startling origin of Delivery-Boy Man! Marvel at his battle versus Invader X (both Parts 1 and 2)! Deliver-Boy Man delivers the goods…and returns the bads! Available at both the Bongo booth (#2519) and the Fox Home Entertainment booth (#4313) while supplies last!